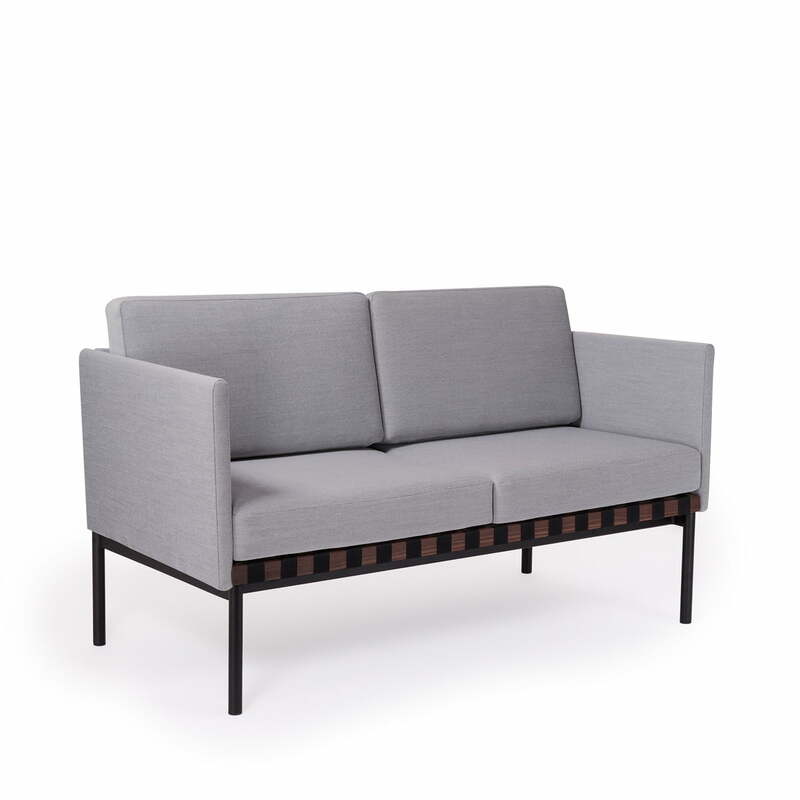 The grid sofa by Petite Friture is characterised by its modular design, with a choice of different shapes, materials and colours. The sofa was designed by Pool Creative Studio, which is known for its extravagant yet straightforward work. Consisting of various basic modules, a sofa can be created entirely according to your own wishes. You can choose between angular and round backrests made of leather or fabric, optional armrests provide cosiness and a corner sofa or chaise longue can be created according to space and requirements. A table can also be integrated for storage. The design is rounded off by a lacquered steel base with narrow legs for an airy, light appearance. The Grid Sofa in the living room is a real eye-catcher and serves as a cosy place for relaxation.